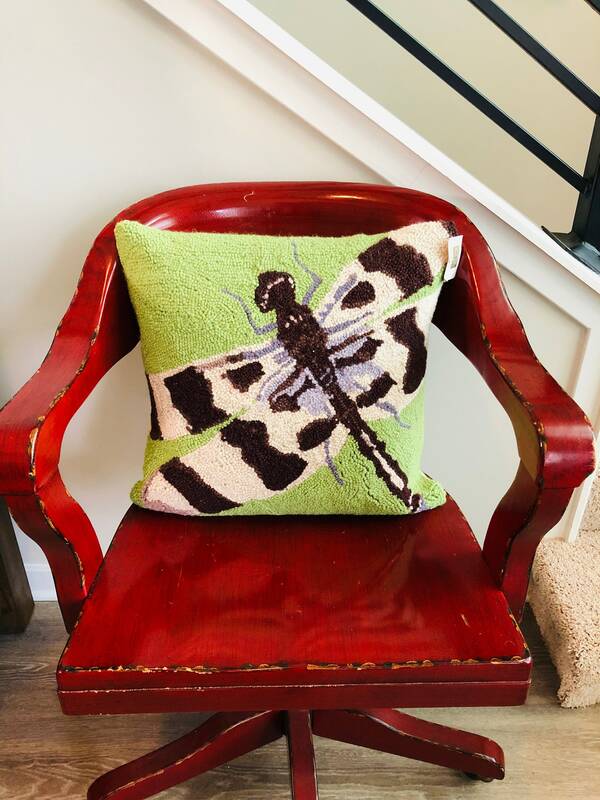 Wool needlepoint pillow with dragonfly design. 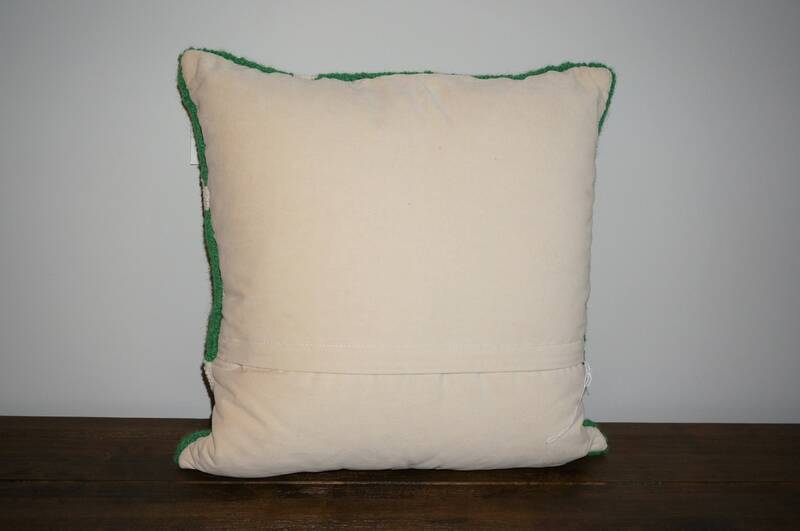 This beautiful pillow has a light green background. 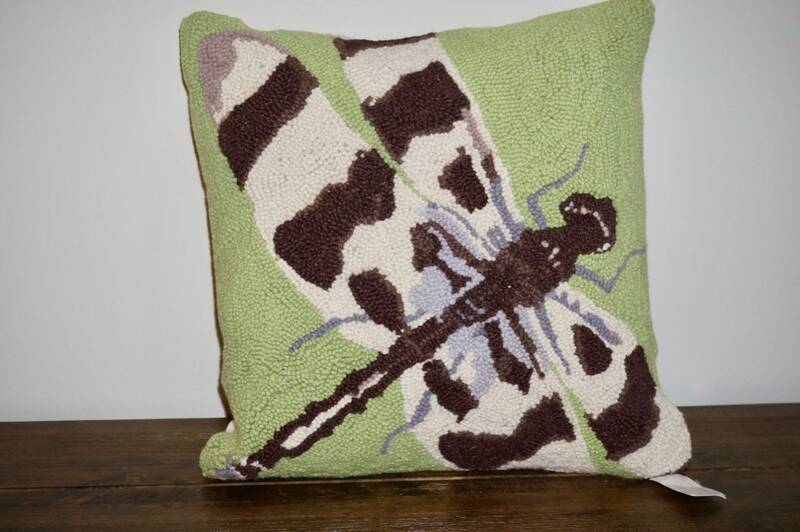 The dragonfly is brown and purple with white. This would make an incredible addition to any home decor. At Designed by Allison we restore old furniture that needs a new life. Each piece is striped down to the frame, and redone. High quality fabric is chosen based on what speaks to me as a Designer. We will occasionally add cording, tufting, and nailhead. We leave the spirit of the old piece while updating the finishes with a modern flair. We hope you love each selection as much as we enjoyed recreating them. Please look for our sticker on the inside of each piece. Custom pieces can be created upon request. If you have any questions, please do not hesitate to write us a message. 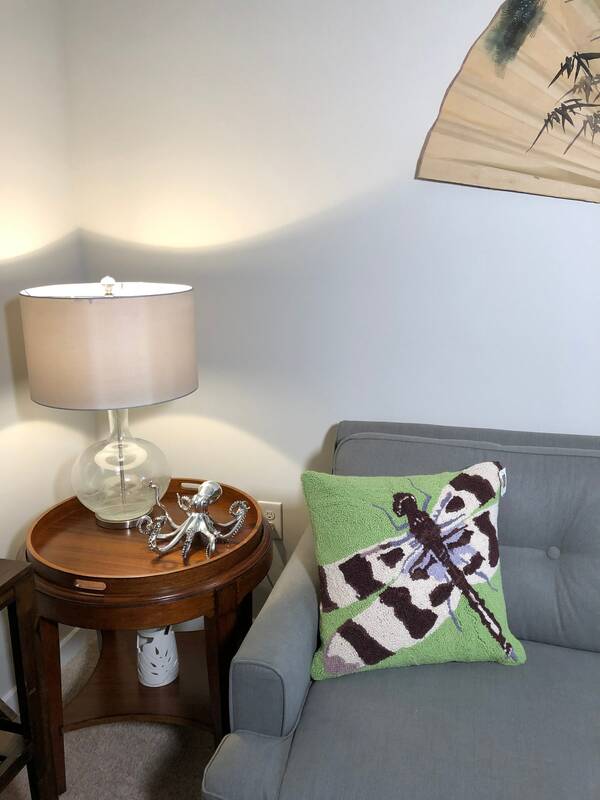 We also look for Vintage furnishings, lamps, figurines, decorative pillows and draperies. Custom pieces can be requested. Please send me a message if you have any questions.